The Hurricanes have their fingers crossed over injuries to three key players ahead of the Super Rugby final against the Highlanders. Openside flanker Ardie Savea and outside backs, Nehe Milner-Skudder and Cory Jane, are awaiting the all-clear for the title decider on Saturday night in Wellington. Savea came off early in the second half of the 29-9 semi-final win over the Brumbies at the weekend and coach Chris Boyd said the result of a scan would determine the seriousness of the damage. "He has actually pulled up quite well, so that's promising," Boyd said on Monday. Both Milner-Skudder and Jane are battling hamstring complaints. Milner-Skudder went off at half-time against the Brumbies as a precaution, whereas Jane didn't make it on the team sheet. Boyd doesn't expect confirmation before Thursday about either player's availability. "I think Nehe will be fine, but Cory's is a bit more problematic." Boyd said five-eighth Beauden Barrett would remain the Hurricanes' No.1 goal-kicking option. Barrett missed two of three attempts against the Brumbies before handing the duties to fullback James Marshall, who landed three of four. Boyd said Barrett had overtrained in kicking practice last week and felt strain in his hips during the match. "Beaudy will be the first-choice kicker if he's able to kick," he said. 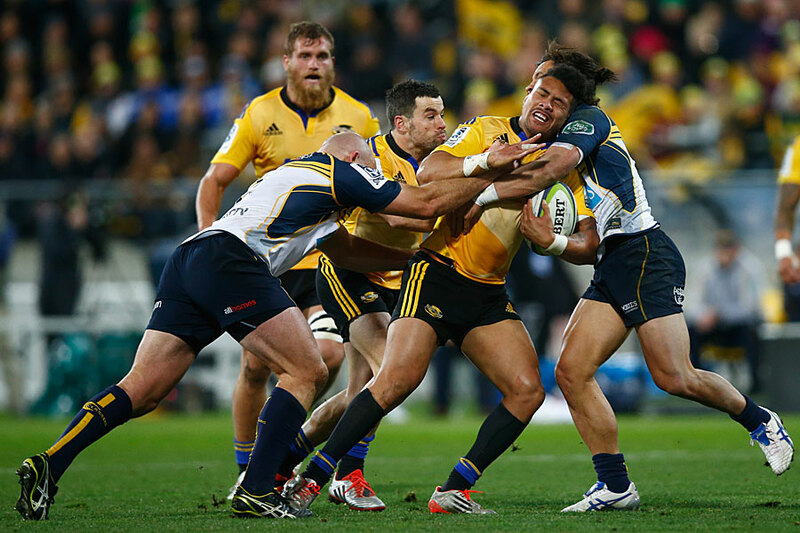 The Hurricanes will go into the final having beaten the Highlanders in the sides' two meetings this year, the second a 56-20 thumping in early June in Napier. But Boyd was reading little into those results, noting the Highlanders stood down Ben Smith, Malakai Fekitoa and Aaron Smith from the McLean Park encounter as part of the All Blacks' rest program. Winger Patrick Osborne and No.8 Nasi Manu were also absent that night. "That's five key players for them," Boyd said. "So we will take absolutely no energy from that performance at all."